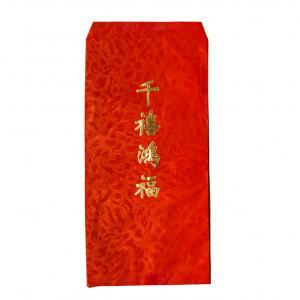 Prosperity laws in feng shui govern the application of feng shui principles. Everything you add to your feng shui design should bring some form of benefit to you. 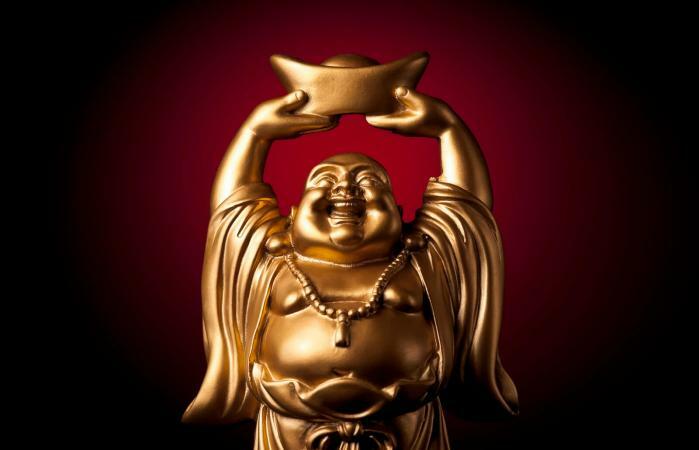 In feng shui, prosperity means abundance and applies to more than just wealth and money. You should be able to move into a prosperous state of being in all areas of your life when applying basic feng shui principles to attract prosperous chi energy into any sector of your home. There are many feng shui principles that can impact your prosperity. If feng shui principles are not properly followed, you can create chaos and despair, especially when it comes to your prosperity. Balance is vital to achieving the desired results. You need to analyze how the chi energy flows outside and inside your home. For example, if you live at the end of street, an intersection or a cul-de-sac that dead ends into your driveway, then your home is going to be the recipient of all of the chi energy flooding down the street into your home. While you may think this is an excellent thing to happen and that it means that you'll receive more prosperity energy, this is incorrect thinking. Imagine the chi energy as though it were water flowing down the street. Rushing water coming to an end means accumulation and flooding. This is what happens to chi energy in this type of scenario. The rushing energy floods into your home. This is too much chi energy entering your home at one time, too quickly. It will wash away any potential prosperous energy. If you have a circular or half circular driveway, then the chi energy will circle and leave. This slows down the energy, but can also mean that some opportunities may slip past you, such as being passed over for promotions, nearing recuperation from an illness only to suffer a relapse, and possible financial gains slipping through your fingers. Landscaping features can remedy both of these problems. A sidewalk leading to your front door invites the energy into your home in a moderate and beneficial flow. Use plants, hedges, bushes, or a berm to slow down chi rushing straight at your house. Use a water feature flowing toward the house to move energy that is circling. Stagnant chi energy means that all of the good energy coming into your home is being bottlenecked, either by some landscaping outside or something in your home like clutter or incorrect furniture placement. All of these can prevent the beneficial chi from moving freely throughout your home. Why Is Stagnant Chi Harmful? Stagnant chi can create financial blocks, stall careers, derail marriages and relationships, and impair health. Any sector of your home that's cluttered or blocked by furniture or even accumulates dust and debris has a negative impact on the area that sector represents in your life. The most important prosperity law in feng shui is to clear out all of the clutter in your home. It doesn't matter what steps you take to remedy elements in your home, if the flow of chi is blocked by clutter, nothing can help. Boxes stacked up in garages or stuffed into attics may be out of sight, but they can also block chi energy from flowing in and out of your home. This in turn creates stagnant chi. Clearly, most people utilize their garages and attic spaces for storage, so make sure that it is well organized. Again, imagine the chi energy as water flowing and visualize how it would flow into each of these areas. If you see an area that would block the flow, move it and rearrange your storage area so the chi energy can move about the space freely. It's very important that you focus on the outside of your home, too, when it comes to decluttering. Your yard should be neatly manicured. Cut away old and dead growth and haul it off of the property. Gather any debris or leaves and dispose of them. Keep trash cans out of sight and never allowed them to overflow. Keep doorway and entrances clutter-free and well-lit. Repair all broken locks, windows, toilets, faucets, and appliances should be repaired. If anything is broken, fix or replace it. Depending on the school of feng shui that you practice, you want to identify the various sectors of your home such as the wealth, health, relationship, marriage, career and so on. If you follow Black Hat Sect, then every home is treated the same and the sectors are identified by using a bagua. In Black Hat Sect, the bagua is always placed over the home with the North side of the bagua up and the South side at the bottom of the drawing, regardless of the actual compass direction. Controversy over this type of cookie cutter use of the bagua can get quite heated among classic feng shui practitioners, but it's your decision which school of feng shui you choose to follow. If opting for the classic traditional feng shui schools, then you need to take a compass reading in order to determine the actual sitting direction of your home and then be able to identify each sector of your home that is beneficial to you. For personal wealth and prosperity, you can also use feng shui money cures to boost prosperity after you've followed the basic laws first. Regardless which school of feng shui you follow, you will still use feng shui prosperity laws to assist you in creating the most optimum feng shui design for you and your family.